There is a battle going on in our house. The quiet but furious fight is happening on a bookshelf in my kitchen. The battle of the cookbooks. 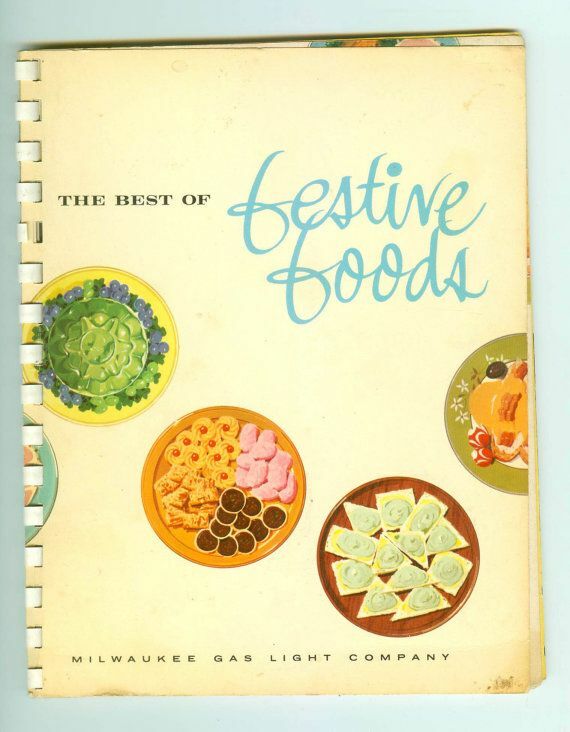 The Christmas and New Year's holidays and their necessary festive preparations always send me to my shelf of new and vintage cookbooks searching for the "Just Right, Sort of Vintage, Not Overly Decadent But Decadent Enough Recipes" to prepare for family and company. I spend a great deal of time searching cookbooks, internet entertaining sites, and food channel host sites looking for recipes. Which cranberry sauce to make? Pork roast, ham or beef roast recipes? What kind of salad dressing? Hot vegetables? jello based favorite? Dessert? oh my gosh--don't get me started on dessert. Right in front of my nose. 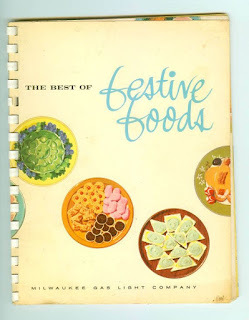 I just realized the oldies but goodies are not found in new cookbooks or on slick websites. Right in front of my nose. No. 1, 2 and 3. 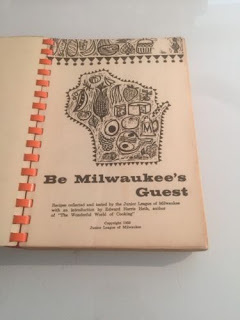 The Settlement Cookbook, the Festive Foods cookbook from the Milwaukee Gas Company and a Junior League cookbook from the 60's called Be Milwaukee's Guest. Look no further. 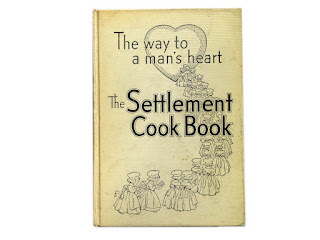 The Settlement Cookbook--Actually titled The Way To A Man's Heart was the biggest revelation to me. Filled, FILLED with practical recipes--and good directions. Actually, tonight we are having the Welsh Rarebit over toast points. Version Number 2--if you please--with beer. 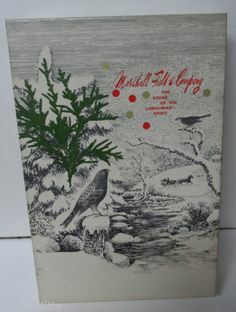 This cookbook DID originate in Milwaukee dontcha know. Lizzie Black Kander was a progressive reformer in Milwaukee and founded the Settlement House. On March 27, 1900, Kander’s Milwaukee Jewish Mission was combined the Sisterhood of Personal Service to establish a settlement house on North 5th Street. The Settlement was financially supported by Milwaukee’s business elite. Her husband, Simon, real estate business and short tenure as a Republican State Representative, had many connections which gave her the opportunity to solicit contributions for her settlement work. And yes indeed--the cookbook was originally titled, The Way to Man's Heart. Now--Dear Reader- any of you with a hair trigger for women's rights or political correctness or pronoun/noun offenses-- dial it back a notch or two. Any female who does not understand that tasty cooking is appreciated by men and supports a good relationship--needs a little more life experience under her belt. These cookbooks are still available for purchase on the internet. Enjoy! I start out by fully acknowledging that I am part of the problem. Until today, it had been 13 years since I set foot in a department store. Necessity required me to enter a department store today. Unfortunately, Give The Lady What She Wants Department Store is no longer in business. I ventured forth to our local Soon To Be Torn Down Because No One Shops There mall--where literally two department stores remain. Two. Actually, out of more than 100 possible shops, all are empty except two. My nostalgic remembrance of the 1960s shopping in Milwaukee or the 1980s shopping in Chicago vanished in a heartbeat as I entered shop Number 1. 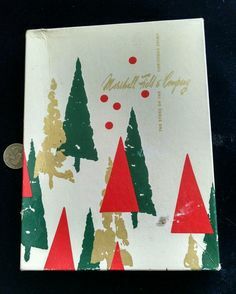 I remember the decorations placed with care. 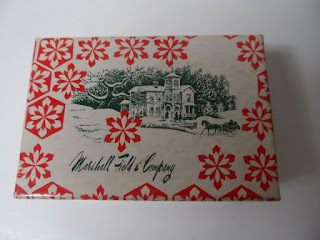 The high quality boxes that changed each season. The free gift wrap--they wrapped while one could have lunch in a restaurant next to a big tree and have that Great Pot Pie or Sliced Turkey on Iceburg Lettuce with Thousand Island Dressing. But I digress. Clerk- How will you be paying? Clerk: Are you sure? You get an additional 15% off. Me: No thank you. Cash please. Clerk: Do you need a gift receipt. Clerk: See--if you opened a charge account, you would get coupons. Are you sure you do not want to open an account? Me. That's ok. Do you understand I am not interested? No thank you. Clerk: I don't have a box this size. Clerk: Don't you have exact change? I will have to go get some if you don't have a smaller bill. Me: And Merry Christmas to you too!